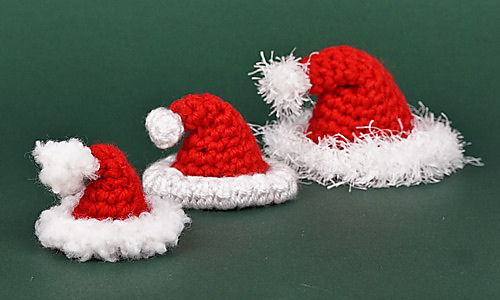 Amigurumi Santa Hat is an original crochet pattern by June Gilbank. 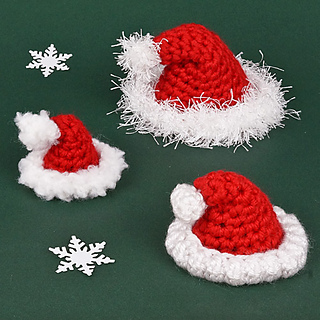 Dress your amigurumi for the holidays with this easy Santa Hat pattern! 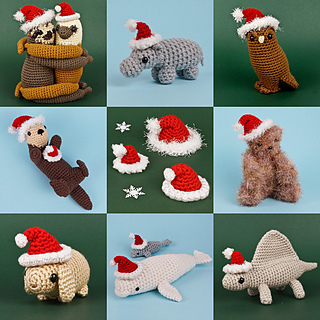 This customizable pattern can be used to make a festive hat for almost any size of amigurumi or other small toy. Note: This pattern is Donationware - the pattern is available for free, but if you like it please consider sending me a donation to show your appreciation. The PDF version, available for any size donation, is formatted for easy viewing and printing, and includes bonuses (specifics for making the other sizes of hat, additional photos, and alternate patterns for the trim/bobble that are optimised for regular yarn and boucle/textured yarns). The complete pattern is available to view in full (for no charge) from the linked page.